In the video, you can see Murray gently razz an audience member for wearing one of the “Pro-Dog” headbands that everyone in the crowd received, followed by a montage of clips of the 67-year-old actor nodding off in his chair. Based on this evidence alone, it doesn’t seem like Murray ever got fully asleep, instead pulling the classic old-guy move of folding his hands and gently receding into some peaceful inner space between wakefulness and dreaming. In comfier chairs, who knows how conscious he would’ve remained. 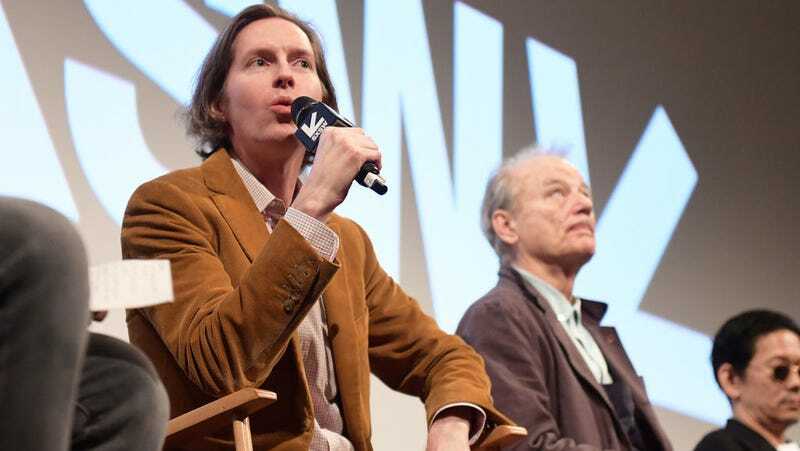 Murray’s sleepy demeanor is hopefully not a comment on his director or the quality of the film itself, but is more likely a comment on the taxing life Bill Murray leads. After all, you can’t expect him to stay engaged during a run-of-the-mill film panel when he’s been out all night serving up tequila shots to strangers and doing pop-up street performances. Bill Murray is, if anything, a man with his priorities in line.